Nighttime skincare routines usually get most of the attention, and as beauty editors, we've definitely fine-tuned ours. But our morning routines are just as important—and impressive, thanks to a collection of tips we've picked up from the pros. Most of these corrected some pretty substantial mistakes we didn't even realize we were making. Scroll through to find out if you've been making them too! Don’t get us wrong—we’re pro anti-aging. But there’s a time and a place for every potent product in your routine. Heavy doses of alpha hydroxy acids (aka exfoliating acids like glycolic and lactic) and skin cell turnover–boosting retinol make your skin more sensitive to the sun. Plus, your body naturally regenerates cells while you sleep—so save retinol, prescription retinoids, and AHAs for evening use. Antioxidants are beneficial everywhere in your routine, but if you only have room for them one place, make it your a.m. serum. During the day, you need antioxidants to protect your skin from free radicals and environmental damage. The right combination of antioxidants can be quite powerful. 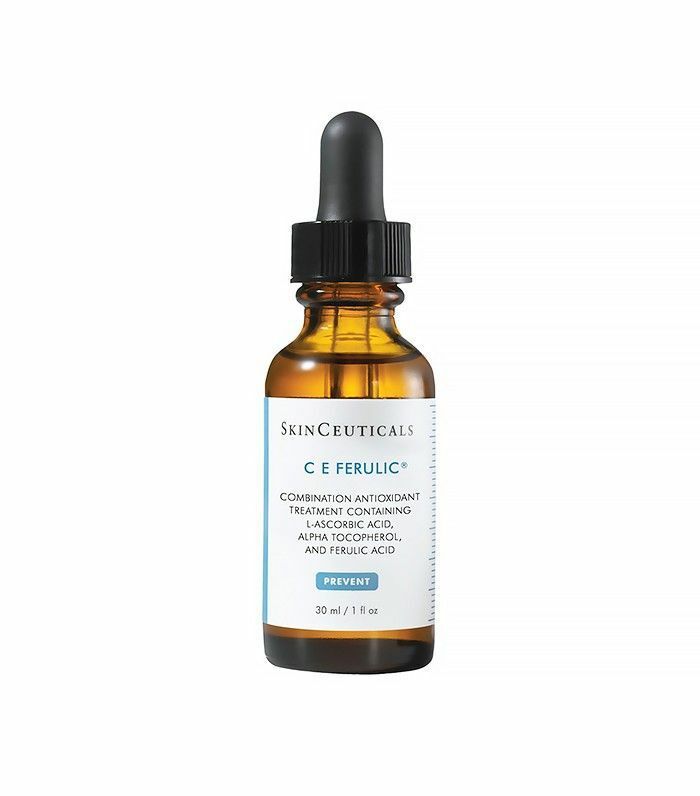 The combination of vitamins C and E and ferulic acid in SkinCeuticals’ C E Ferulic ($162) stimulates collagen production and boosts the power of your SPF fourfold. Splashing your face with cold water may not be your preferred method of waking up, but your steamy face-washing habits aren’t doing your skin any favors. While extreme temperatures of any kind can unbalance the delicate skin on your face, hot water dehydrates. And parched skin is not the way you want to start your day. Lukewarm water makes for better cleansing (morning and night). We’re constantly reminding you to wash your face every night. But silly us, we’ve only been giving you half of the necessary tasks. Wash your face every morning. Overnight, your skin cells are hard at work, which means they’re secreting toxins and sebum. You’re also shedding dead skin cells and sweating. And then there’s the matter of your pillowcase—it’s not exactly clean. Your morning cleanse is the time to remove that buildup and prep your skin for the products ahead. And washing your face is necessary to remove any retinol or AHAs you wore overnight. Bottom line: A thorough a.m. cleanse ensures your products will work like they’re supposed to. 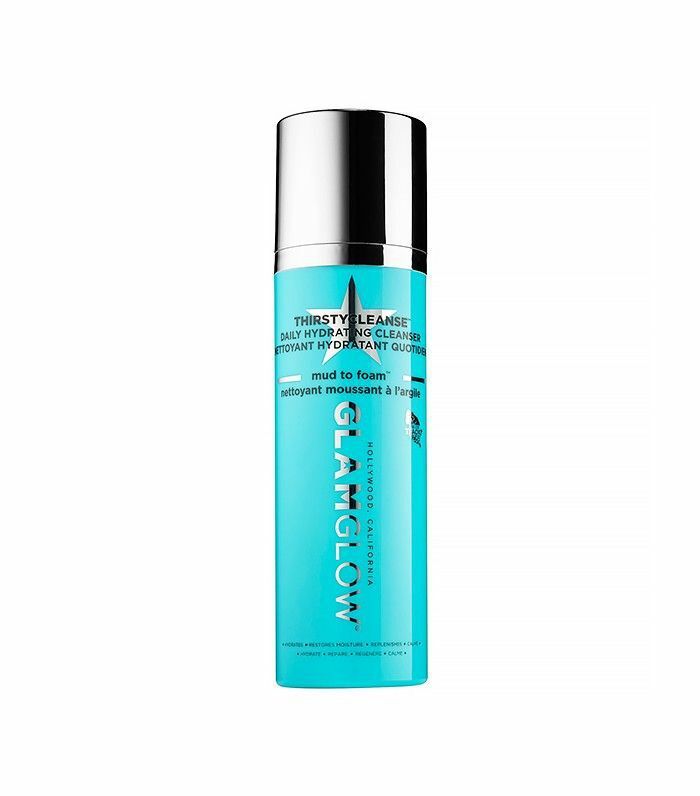 We like Glamglow’s ThirstyCleanse Daily Hydrating Cleanser ($39) because you apply it to dry skin, which saves you valuable seconds in your morning routine. We know what you’re thinking: Exfoliate in the morning? Isn’t it better to do that at night? The answer is sort of. If you’re a diehard fan of chemical exfoliation (guilty), continue to use your glycolic acid pads and the like at night. But chemical exfoliation is only one part of the equation. Your skin needs physical exfoliation, too. Celebrity esthetician Renée Rouleau says figuring out if you need a physical exfoliation is easy; just ask yourself one question: When you do use a grainy, gritty exfoliant, does your skin feels softer and smoother afterward? If the answer is yes, you need to stop relying on chemical exfoliation alone. 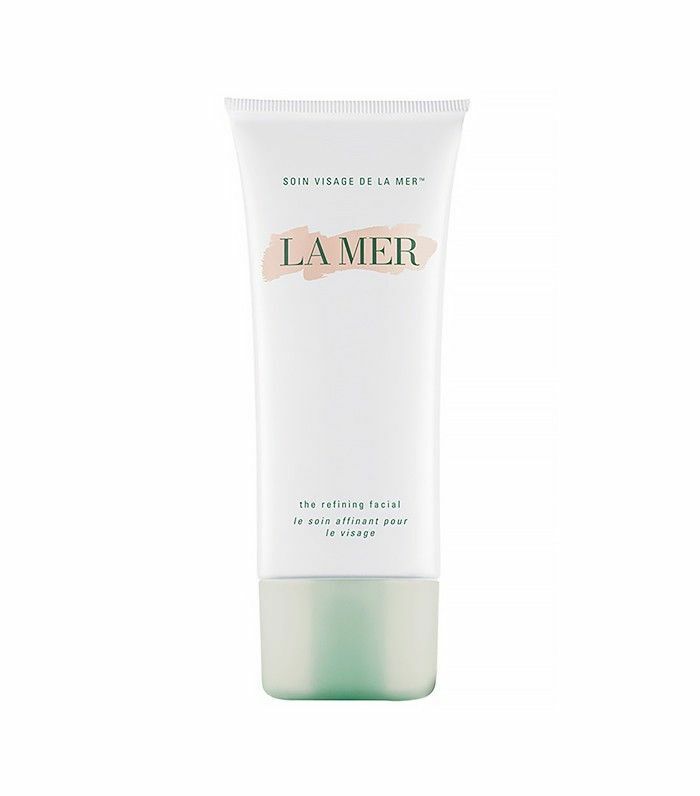 Rouleau says the best time to use a scrub (like one of our all-time favorite splurges, La Mer’s Refining Facial, $90) is in the morning. Overnight you’ve loosened up dead skin cells with your glycolic acid or retinol products, making the morning a perfect time to brush them off. After washing or scrubbing your face, you should move quickly. Immediately after patting dry with a clean towel, apply the next step of your skincare routine. Rouleau says your skin should never stay dry and bare for more than 30 seconds. Every second your skin is left bare, dry air (especially in the winter) is pulling moisture right out of it. But that’s the only part of your morning skincare routine you should rush. In order for your skin to properly soak up all of the benefits of each product you apply, you need give them time to sink in, three to five minutes to be exact. And don’t forget sunscreen needs 20 to 30 minutes. Leaving the house too soon after application leaves your skin unprotected. For such an essential product, many of us aren’t using it to its full potential. For starters, the majority of people apply less than half of the actual amount needed. If you’re not applying a teaspoon amount to your face every morning, you’re not getting the sun protection factor you think are. And you’re probably forgetting your neck and chest—your décolletage is one of the first areas to show signs of aging. Protect yourself from the chest up with SPF 30 or higher every day. We love Renée Rouleau’s Daily Protection SPF 30 ($38). Which of these mistakes (if any!) have you been making? Tell us below!